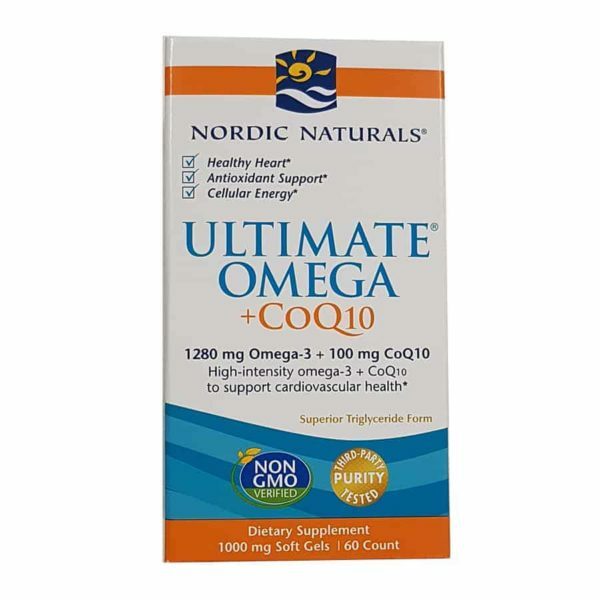 Nordic Naturals has combined concentrated omega-3 fish oil and Coenzyme Q10 (CoQ10) to create a powerful formula that supports normal heart and circulatory system function. 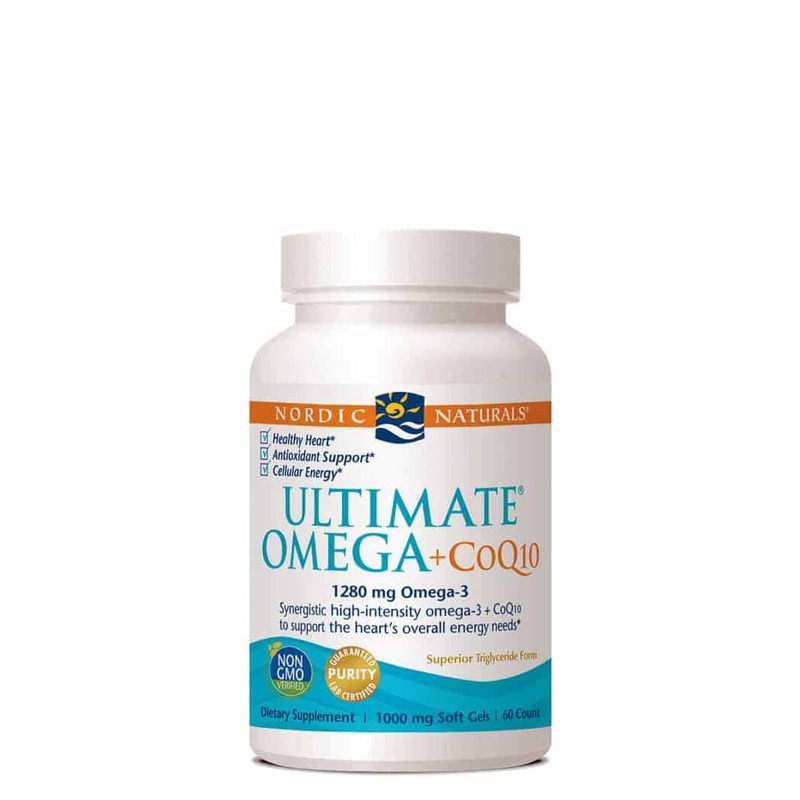 Ultimate Omega +CoQ10 offers the proven cardiovascular benefits of EPA and DHA from fish oil with CoQ10, now with 100 mg in every serving. 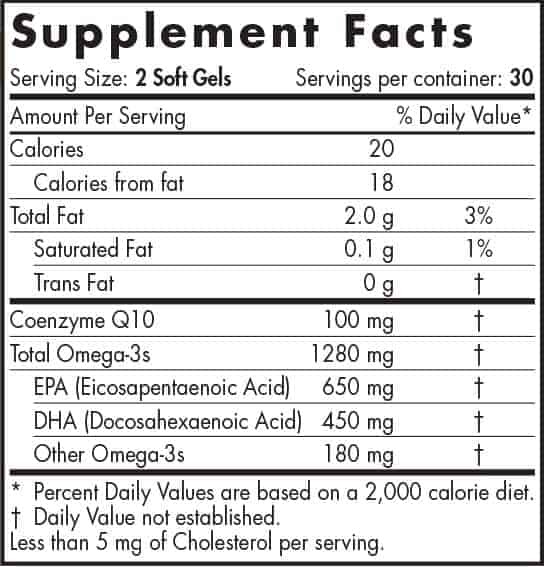 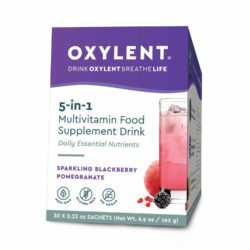 Think of it as the two most important heart support nutrients in one high-quality product. Ultimate Omega®+CoQ10 offers a blend of high-intensity omega-3 for concentrated immune support, plus 100 mg CoQ10 for cardiovascular health, normal cellular energy levels, and antioxidant support. 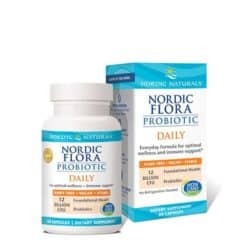 This unique formulation supports the heart and the body’s normal energy needs. 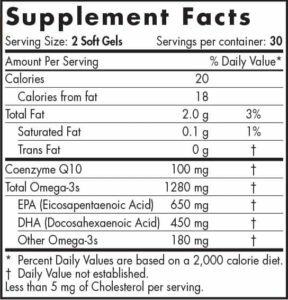 No gluten, milk derivatives, or artificial colours or flavours.